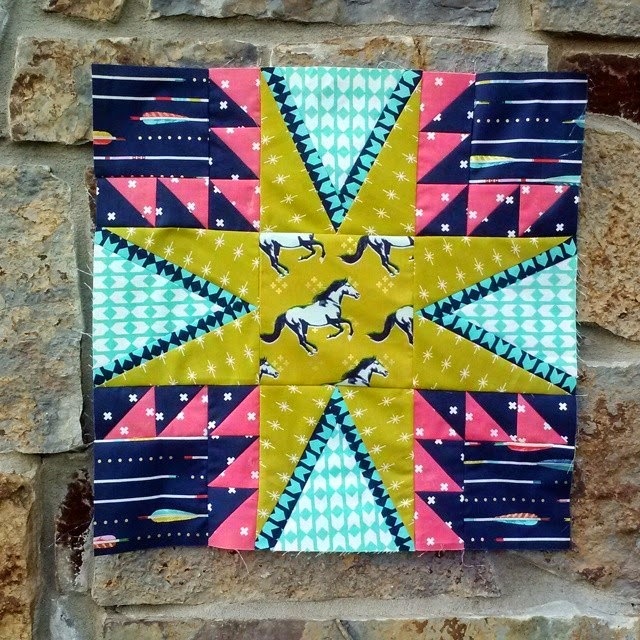 What's scarier than a Halloween quilt? Being married to a trained driver's education teacher. For real. The one perk of cheerfully cheating death is the stories he can tell AND the adventures he's had. One of the best happened on one of the "final drives." To make it more fun, my husband allowed the students to choose a destination to drive to on one of their last sessions together. One of the most interesting locations he was ever taken to was The Black Angel. In one of our local cemeteries there is a memorial with a black angel. This particular memorial was commissioned by a woman to stand above the graves of her teenaged son and second husband. Tragically, her son died young from meningitis and her husband died within a few years of their marriage. Somehow, over the years since this memorial has been erected, it has been imbued with multiple meanings and become something of a curiosity. The color has been the subject of much of the controversy. Some think that it turned black because it was murder, not meningitis that did her son in. Others think that it turned black because she swore to her deceased husband that she would always be true to him and she was cursed for forgetting that graveside promise. Still another theory is that the mother was a nasty sort and that the statue was struck by lightning the night she was buried. I guess it's just not as fun to consider that a bronze statue exposed to the elements for 100 years might do something funky. Mystery aside, I find the statue hauntingly beautiful and an excellent location to take pictures of some mysterious girls. I've had the Nightshade line by Tula Pink in my closet for a couple of years now and I really wanted to do something with it. I found an old quilt block in a quilting encyclopedia I had and did my best to redraft it on graph paper. Needless to say, it was a complex block and it took me quite awhile to draw and color. I took it to a copy machine to make more copies because I just didn't have the will to draw it again. That ended up being a good thing, because I could easily rearrange and spin the blocks until I got the orientation right. Once I was happy with the design, I taped it to another sheet of graph paper and added an additional row of piecing on all sides to complete the pattern. I kept that sheet next to the sewing machine while I put the blocks together. 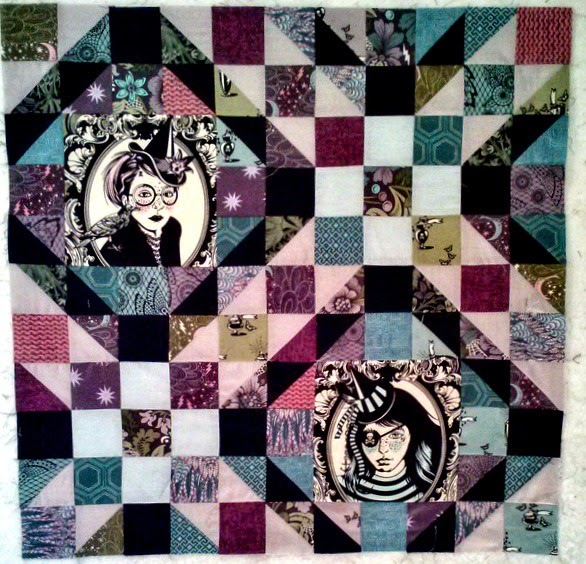 This is one completed block with the addition of the extra border row on the top and the right. 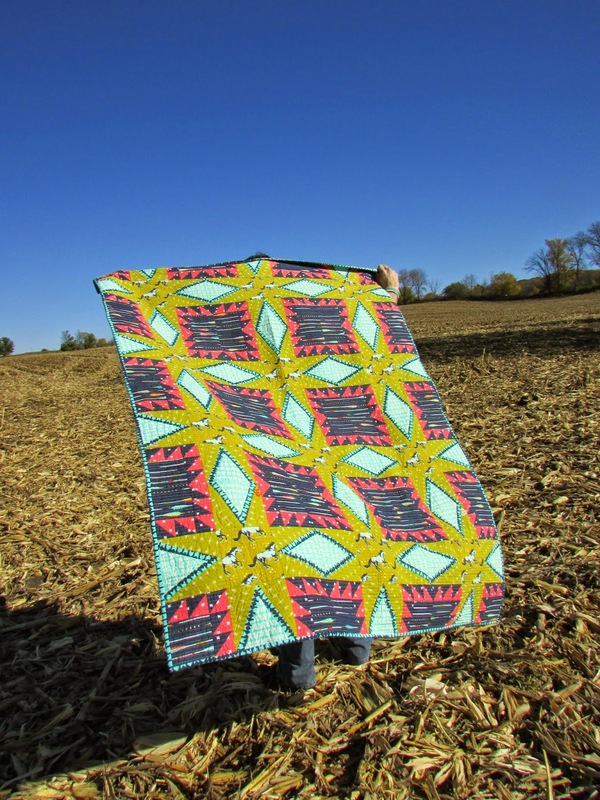 Even though it measures 55" x 55," there are only 4 blocks in this quilt! 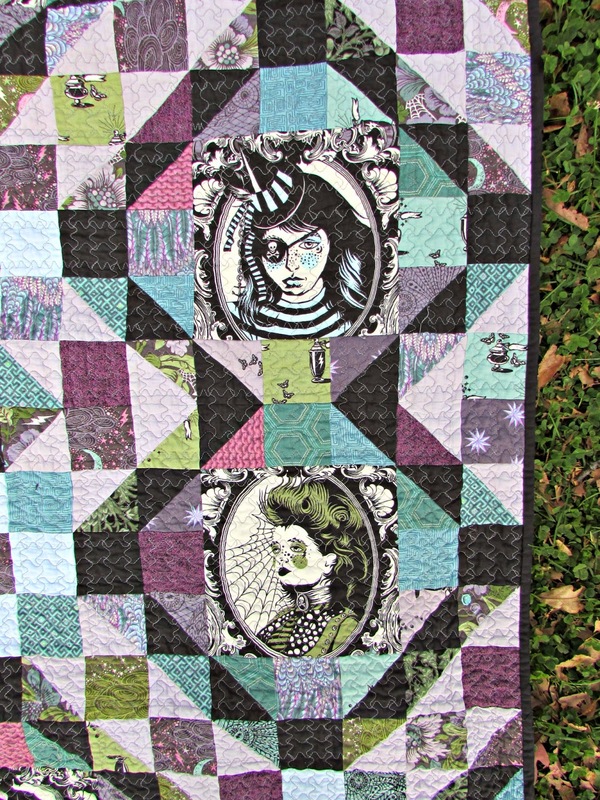 I added more fabrics to Nightshade to make this quilt. 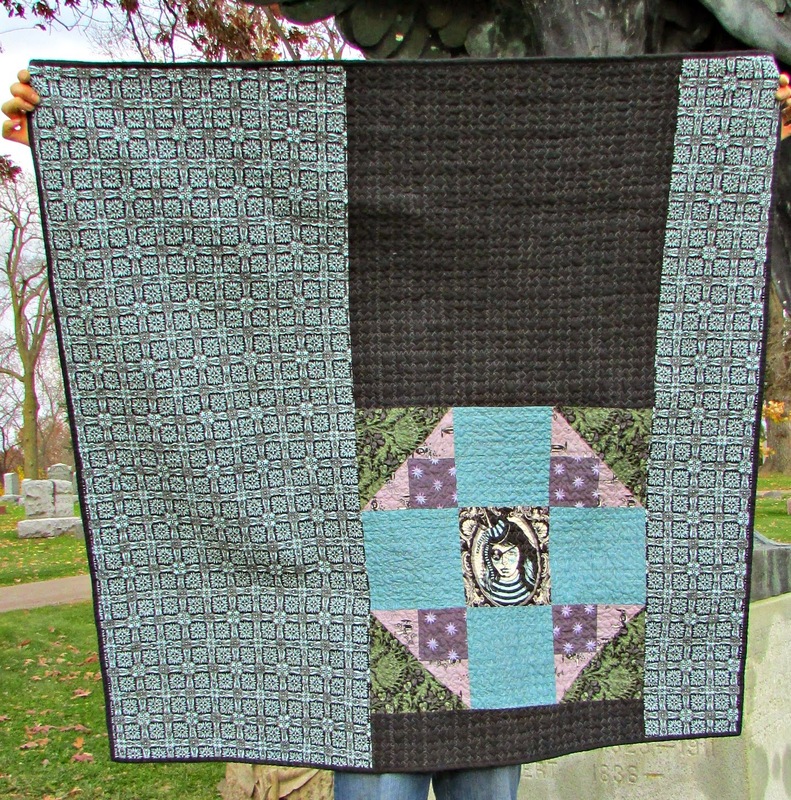 I used Tula Pink prints from Fox Field in addition to prints from Modern Quilt Studio, Angela Walters, Moda and even a print from William Morris (I dare you to find it!). My favorite is Robert Kaufman's quilter's tweed in hot pink. I also used shot cotton in artemisia and ice. I love the grayed down palette. 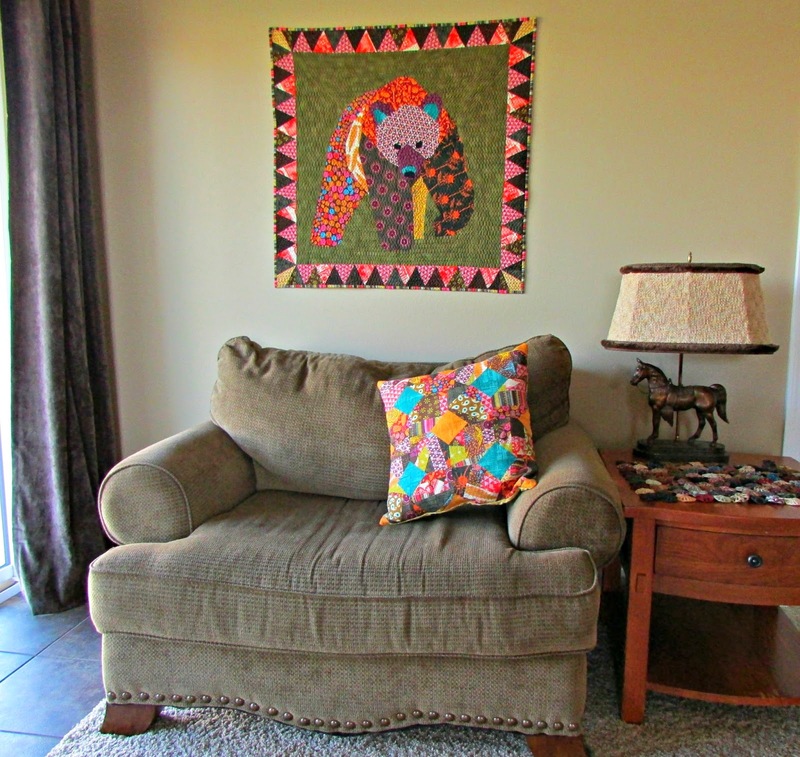 I quilted this in a cross hatch with a swirling stitch that is one of the utility stitches on my Janome. I was going for spider-webby. I used Aurifil 50 wt. in medium gray. You can really see the pattern on the solid black I used for the backing. The Nightshade girls mirrored The Black Angel perfectly. Mysterious? Yes. Scary? Not so much. Happy Halloween! In my original post, I made a joke about keeping a bear on the wall, so I thought I would take some pictures of our old friend in his "natural habitat." I think he is settling in nicely. 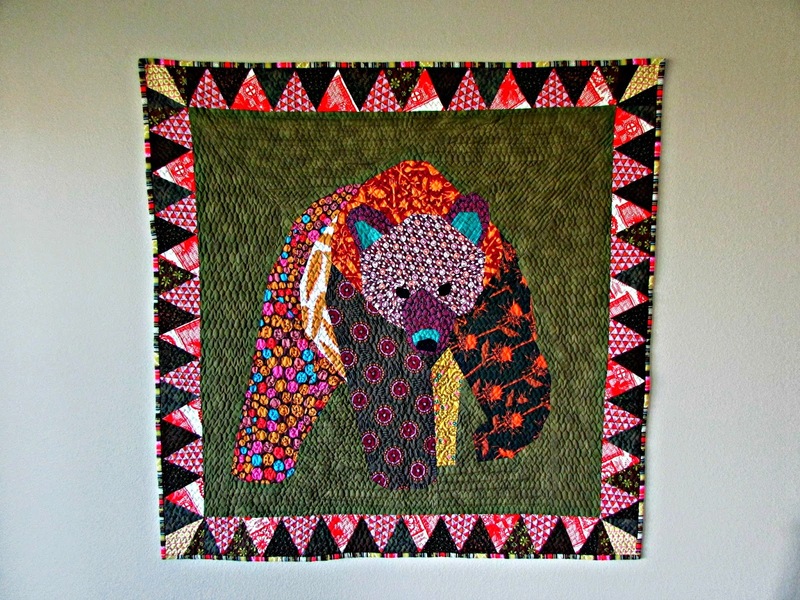 This bear block was designed by Juliet at Tartankiwi. This is the 30" version. The quilt finishes at 36" x 36"
It was quilted using one of the zig-zag utility stitches on my Janome with Aurifil 5012. I used 3 different Anna Maria Horner lines (Pretty Potent, Loulouthi and Innocent Crush). There's also Denyse Schmidt, Art Gallery, Michael Miller and Kaffe Fassett because sometimes more really IS better. 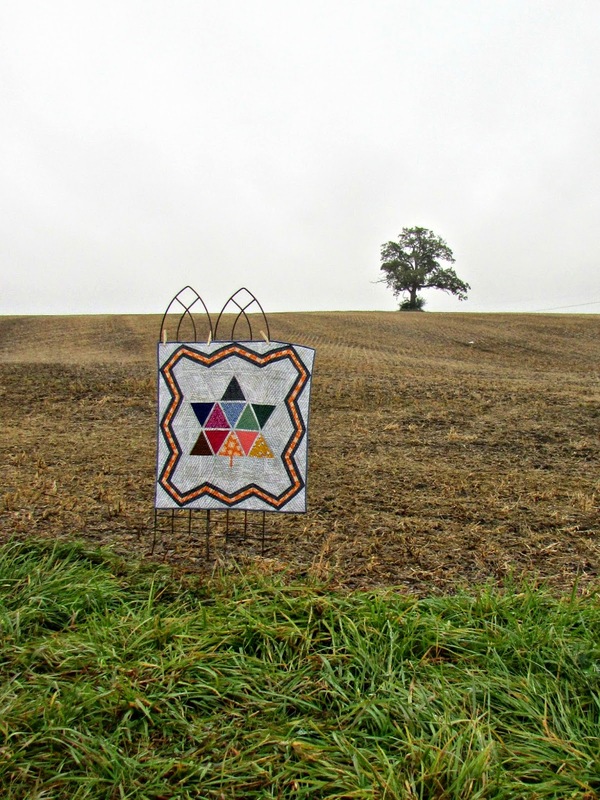 Linking up with the Blogger's Quilt Festival, small quilt division. 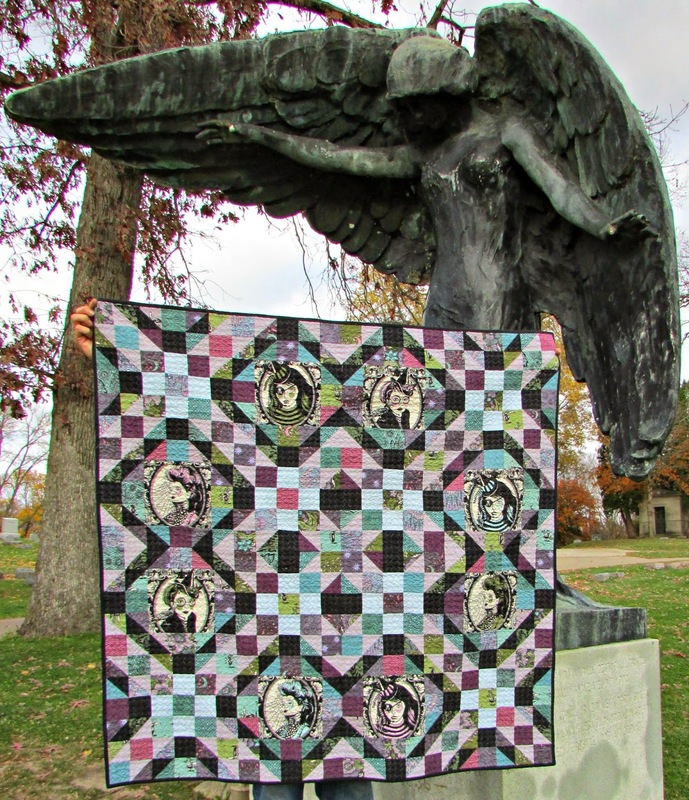 I took one of my dearest quilt friends out for another photo shoot today. ...And I decided to take Mustang, too. 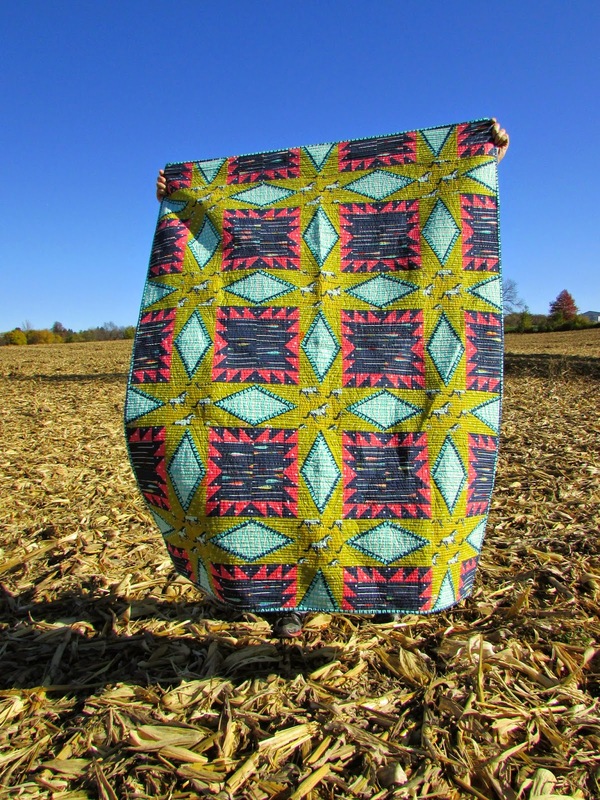 I thought that the first round of pictures I took for this quilt out on an old barn (here's the link) were great, but I think I like these better. 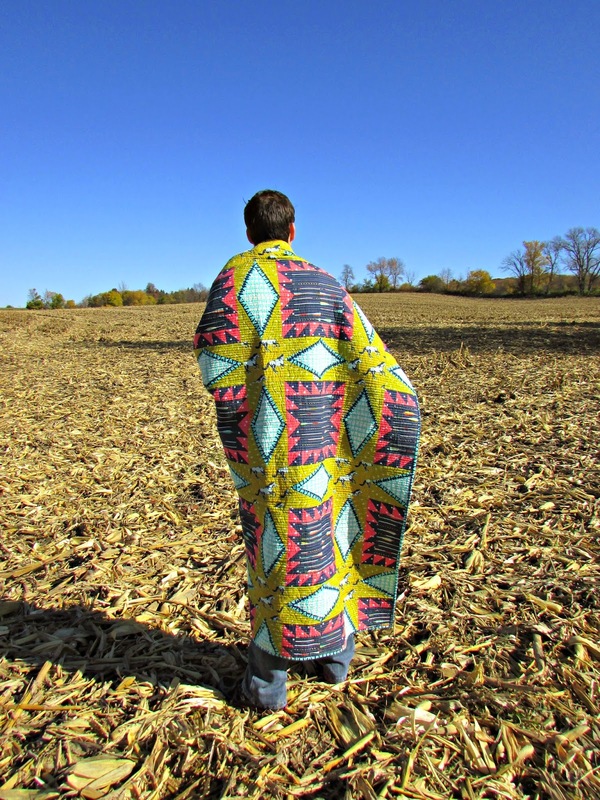 This quilt was made for a day like today. I also got some feedback from the original post that a picture of the block would be appreciated. I am happy to oblige! 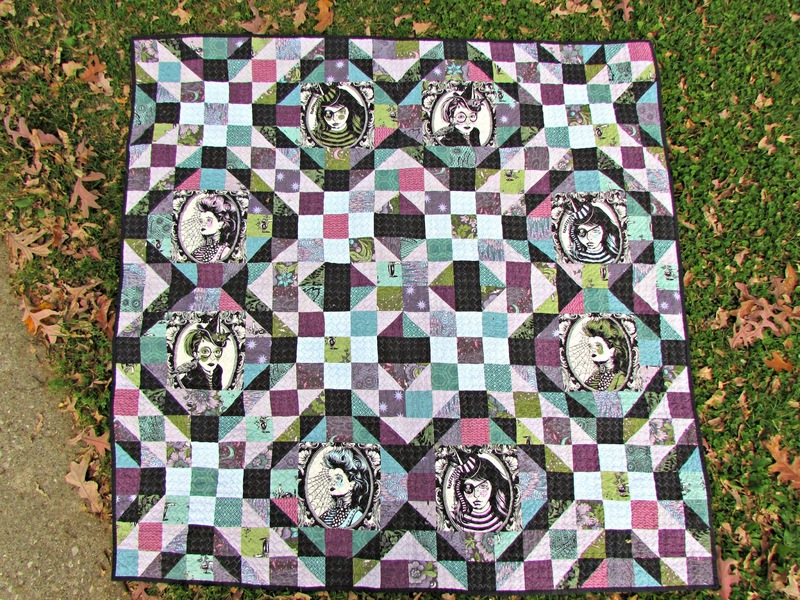 The dimensions are 55" x 72"
Linking up with the Blogger's Quilt Festival, large quilt division. 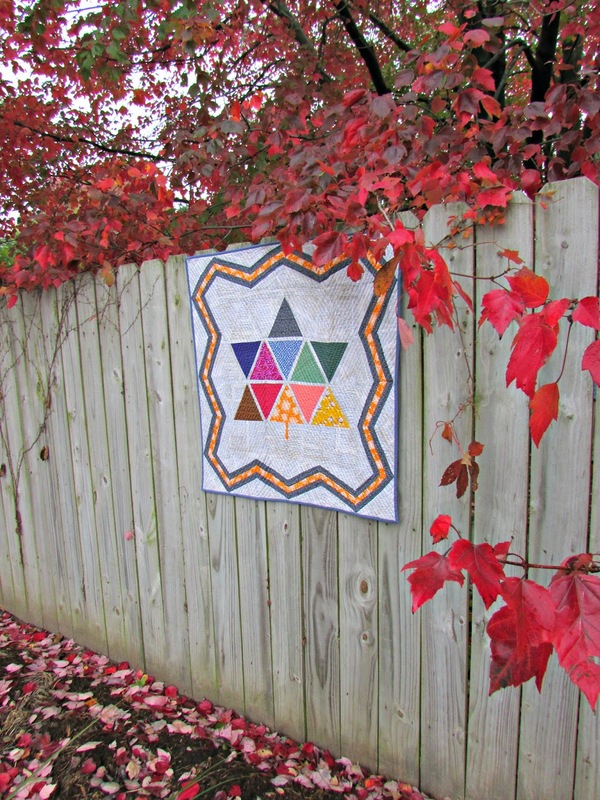 When the leaves started changing awhile back, I had an undeniable urge to do a fall quilt. A few months ago I found the logo designed by Stuart Ash for Canada's centennial celebration. The design is nearly 50 years old, but it still feels modern. I loved the graphic quality of the design and decided to do an homage. 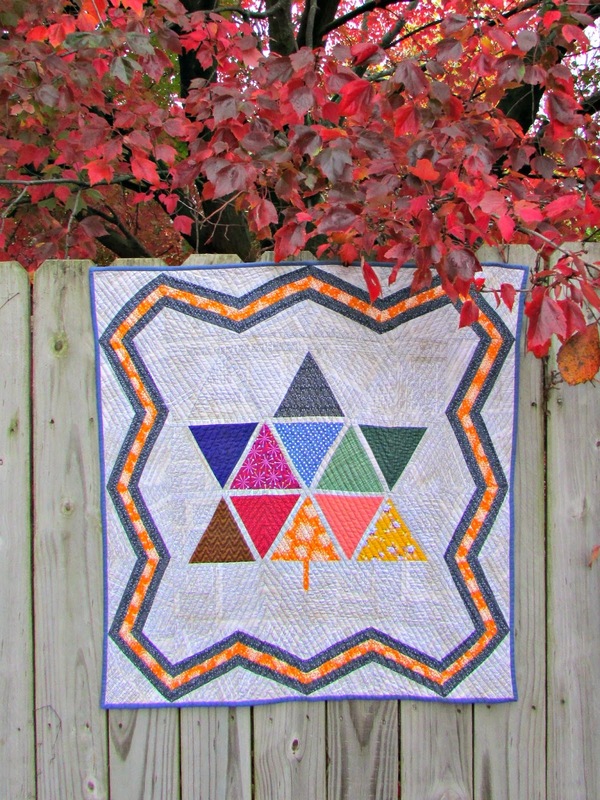 I replicated the shape with an equilateral triangle ruler and some of my favorite "nearly solids" from my stash. 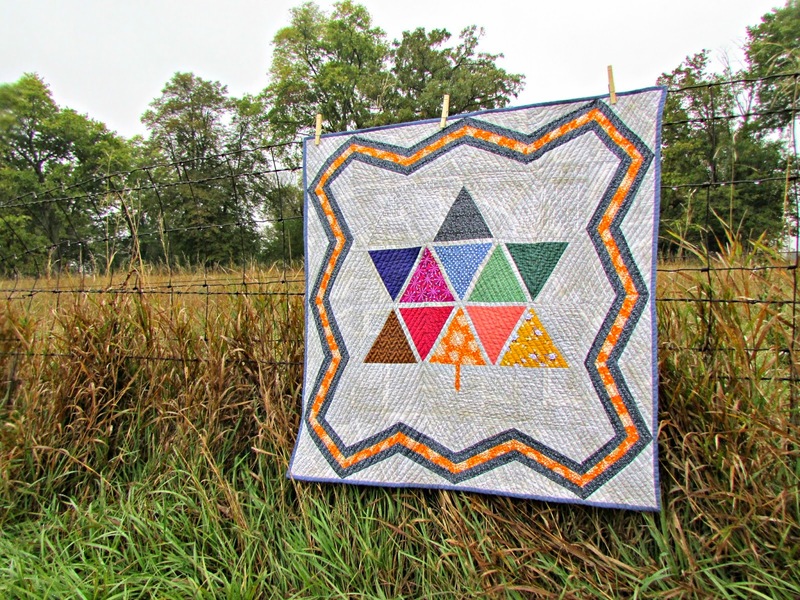 For the border, I used graph paper to make a paper piecing template. I was inspired by the Streak of Lightning style. Once I had the proportions and angle the way I wanted, I made a reversal tracing using the kitchen window (we are REALLY high-tech here). I made the corner blocks by playing dot to dot with the edges of the border pieces. This particular shape reminds me of a 60s style mirror that hung in my brothers' room and seemed to suit the vintage modern vibe. 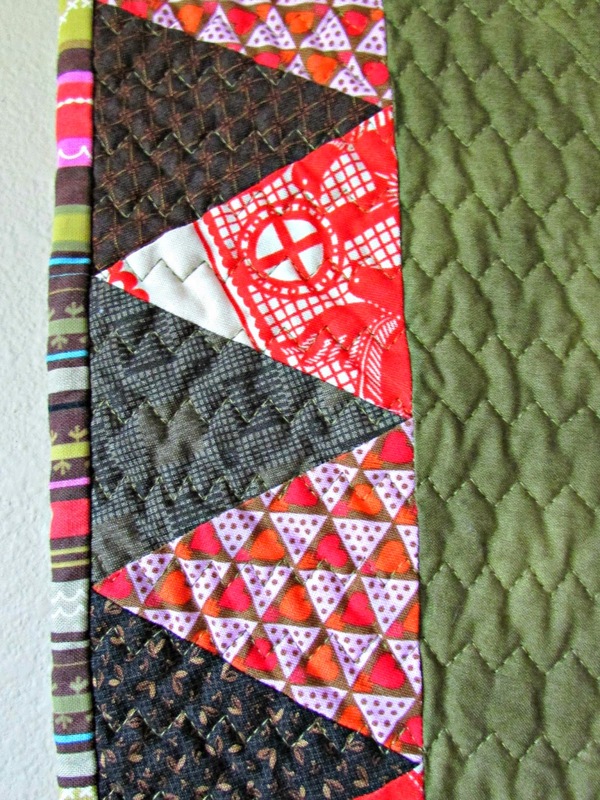 I quilted this in a straight line, pivoting design. Using the equilateral triangles made it a simple design to mark. I broke out my brand-spanking-new cone of medium gray Aurifil to piece and quilt this project. 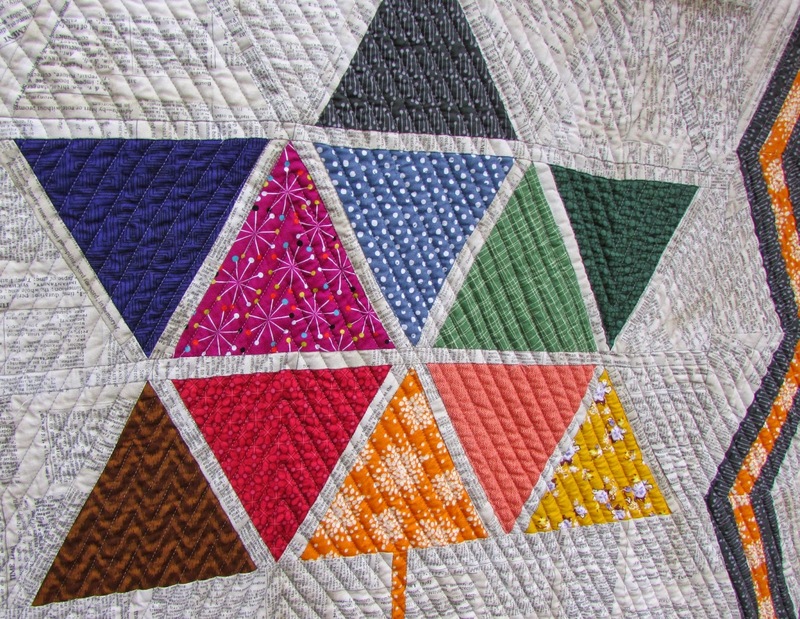 I finally decided to stop pretending I didn't have a quilting problem and to just buy the cone. The first step is admitting you have a problem, right? The field of soybeans has already been harvested. I can see this tree from my kitchen window...I have always loved it. It had just started to drizzle when I took this shot. I love the way the drops are suspended on the fence. I love fall. I love the colors, smells, sounds and tastes of it. When we first moved to Iowa from Boston, my husband's grandmother sent us an envelope full of fall leaves because she just knew that we wouldn't see any here. Sweet, but not true. Yes we have fall leaves AND harvested fields AND rolling hills AND the most beautiful golden orange shade of light that you have ever seen. Iowa takes my breath away every autumn. We are lucky enough to live about 25 miles away from an Amish community. At least two times a month I take the kids with me out to an Amish grocery store. 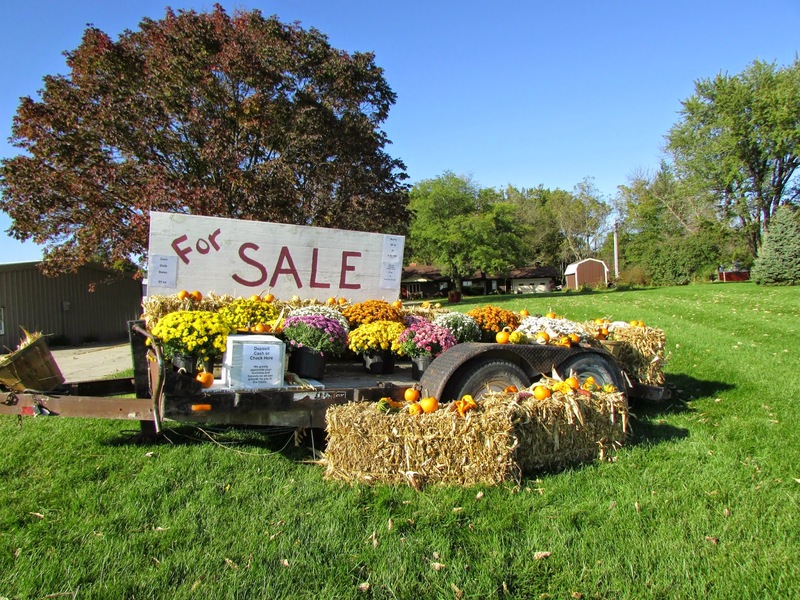 It is an incredible opportunity to get fresh, local produce in bulk for fantastic prices. It is also a surprise because you can never be quite sure what you are going to get. Last time I bought TWO bushels of apples, green beans, red peppers, Napa cabbage, radishes, golden heirloom tomatoes, watermelon and squash. 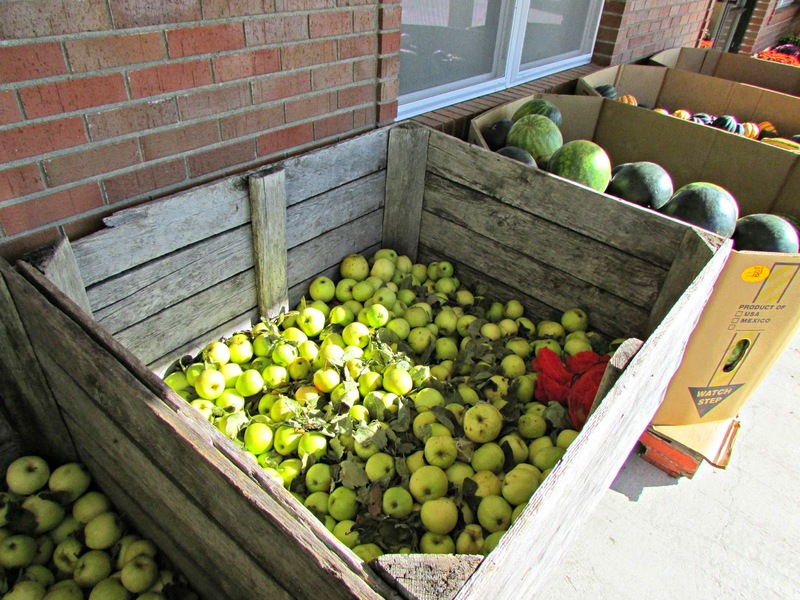 What a harvest-time bounty! After the market, we stop at an Amish bakery on the way home. 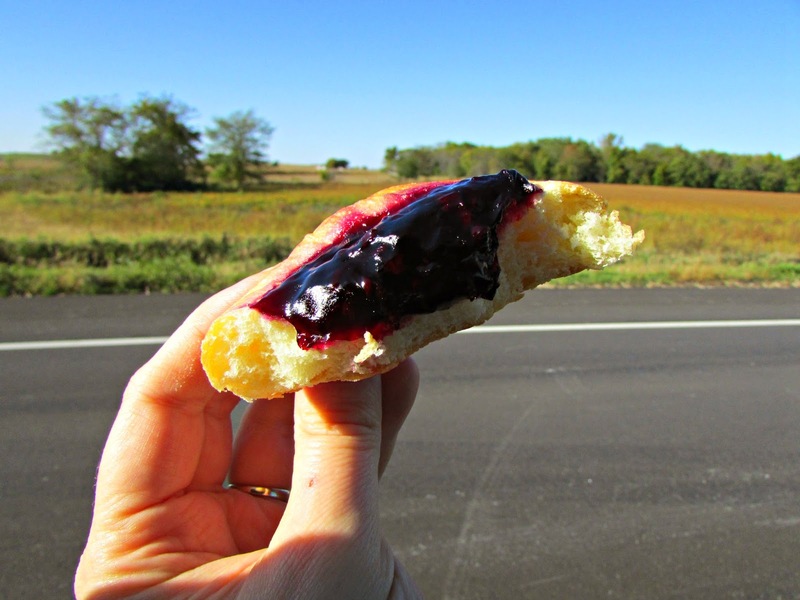 Depending on our mood, we either get the glazed doughnuts or kolaches. This week we decided on kolach. I got black raspberry this time. See what I mean about the golden orange light? We passed 3 self-serve mum trailers on the way to the store. I feel like since I've started taking pictures of my quilts, the way I look at the world has changed. I drive slower, I look harder and I see beauty everywhere. Wherever you live, and whatever the weather/season is today where you are, I hope you see it too. Have a beautiful day!